Local wisdom says when the Canadian Columbine (a native) booms the hummers are here. It’s certainly true this year. We have already been buzzed by a few, but no visuals yet. 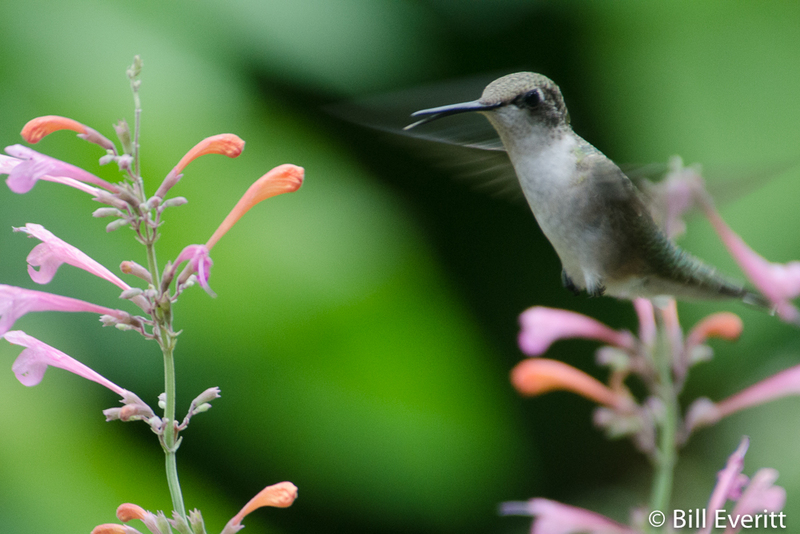 Atlanta Audubon’s check list for Atlanta lists four Hummingbirds: Ruby-throated, Rufous, Black-chinned and Calliope. Only the Ruby-throated is common here and only in the Spring, Summer and Fall; the rest are rare. Enjoy them while they’re here, because in the fall they’ll be headed back on the long flight across the Gulf of Mexico to Central America. Right now they are building nests and gathering fuel to recharge after their long flight. Nectar from flowers and flowering trees, as well as small insects and spiders are the main food source. Young birds are fed insects for protein since nectar is an insufficient source of protein for the growing birds. They prefer flowers that are red or orange. This is where, with a little planning, you can have something blooming that will provide them with food throughout their stay. If you decide to feed them with a sugar solution, do not color the water since the dyes are bad for the hummers. Feeders should be checked frequently in warm weather, and daily if it’s really hot since the sugar water will ferment and make them sick. We received this from Audubon two days ago: “Download Audubon’s Hummingbirds at Home app and join a network of citizen scientists working to help hummingbirds now and ensure them a bright future.” There’s a link at the top of the page to download the app. 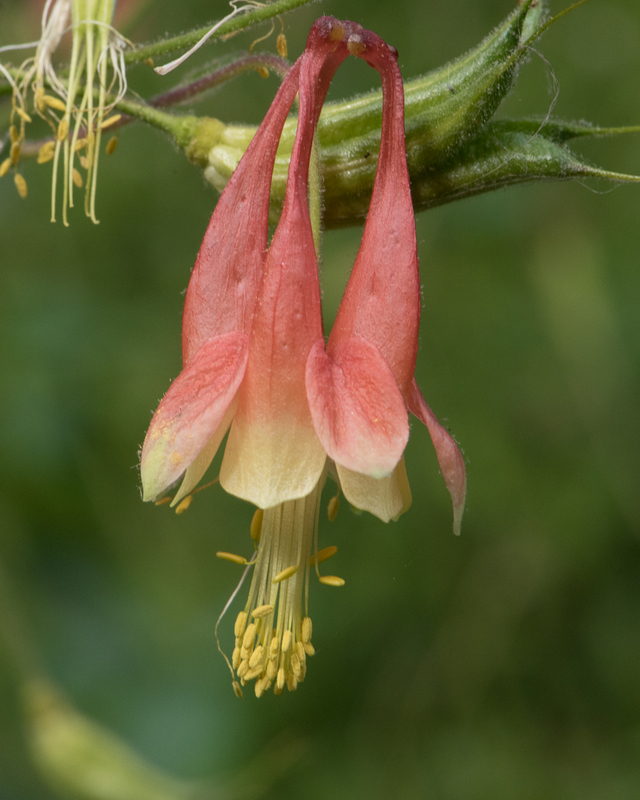 This entry was posted in Hummingbirds, Pollinators and tagged Agastache, Canadian Columbine, Native Azalea, Native Honeysuckle, Ruby-throated Hummingbird on April 23, 2015 by beveritt.